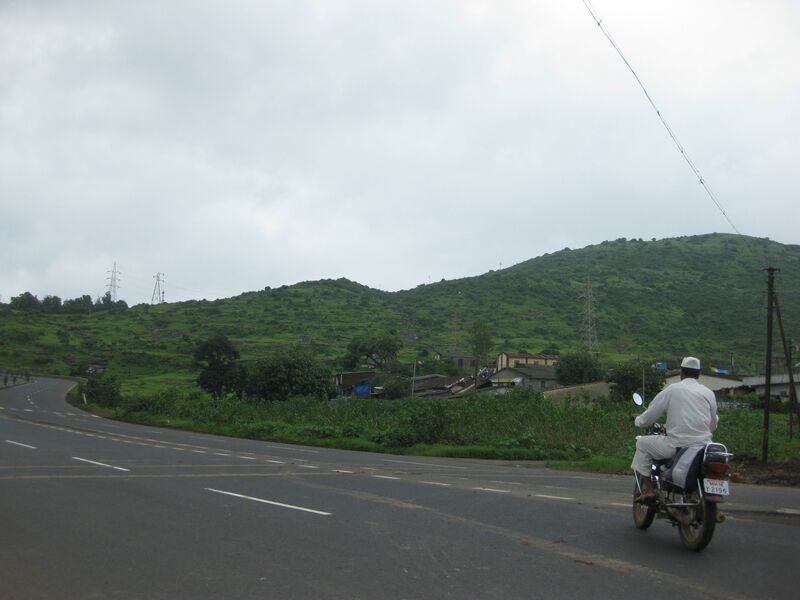 Driving out of Bombay was a shock to my senses — could we really be this close to lush green mountains? Apparently it had been here all this time while I was living in my little city cocoon. I took a bit of small break from writing for the last few days because Daniel and I took a long weekend to Pune and I wanted no computer distracting me from my first moment away from Bombay. And it was those first moments that truly stuck out – the feeling of traffic fading away, of noise and honking dissipating, of seeing rolling hills and no crowds of people. This was a piece of India I hadn’t seen yet, and it struck me that while I felt at home in ‘India’, my whole notion of India was based on Bombay. 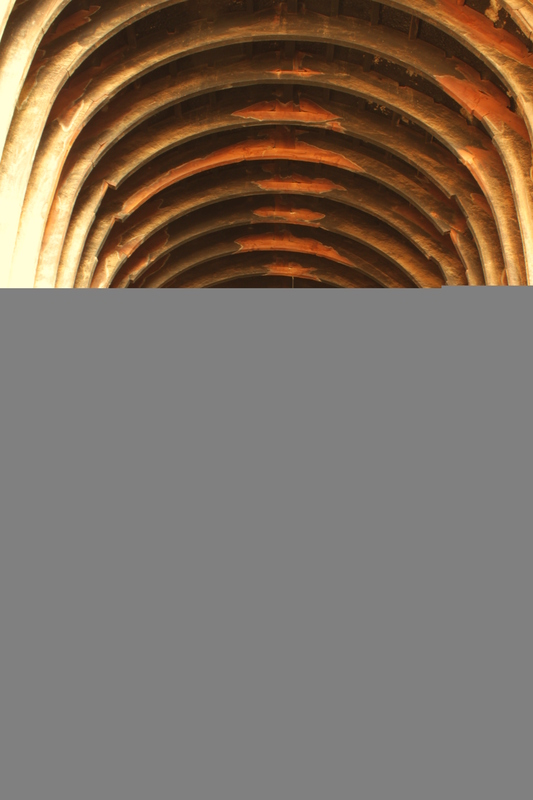 We had decided to break up the four-hour drive by stopping at the Karla Caves. The literature I’d read about these caves was oddly imbalanced – the caves are beautiful, but not a major site. It’s an important historical landmark but certainly something you could skip. The caves are hard to believe, but not if you’ve been to any of the more major caves in India. So I didn’t really know what to expect. We drove up to the base of a hill and started hiking up. On the way Daniel and I ate some roasted corn while we looked out onto a spectacular vista. I was already convinced this was a good stop. We made our way past sellers jockeying to play their Bollywood music the loudest while women weaved garlands together. But none of the usual attempts to sell us items came our way – they were mostly baffled to see white tourists. When we’d hiked up and paid our 100 rupee entrance ($2 compared to the 5 rupee entrance for Indians) we entered the main cave. And it was magnificent. In the 2nd century Buddhists had carved out the interior of the cave to create a hall with grand pillars lining the walls. At the entrance and above each pillar were intricate carvings. I stood there and took in the site, marvelling mostly at the fact that this is a site considered “off-the-beaten-track”. In a country so large and so full of rich history it’s amazing how much goes unseen. And I’m sure that if I had gone to the Ejanta and Allora caves (something I’m hoping to do while I’m here) before coming to Karla, I would also have been fairly unimpressed. But here was a cave that more than 2,000 years ago people had dug into (with no modern tools or explosives) and created a pillared hall out of the stone. And it still stands today in pristine condition. How is that not something to shout from the rooftops about? It mostly just gave me a big reality check that I cannot get too settled into Bombay – I have to see this incredible country. 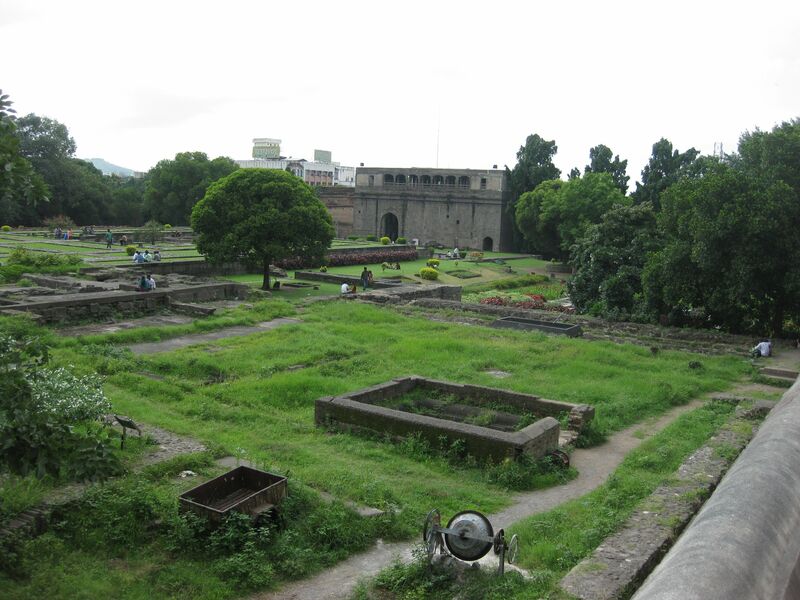 Of course, after feeling that, the rest of Pune was ironically slightly underwhelming. It certainly is a vibrant city – it’s three or four hours south of Mumbai, a hub for colleges and universities with a thriving cultural scene. I’ve heard it described, for all these reasons, as the Boston of India. But we were mostly there to see some of our friends who were in town from the US – and as such the few forts and temples we went to took a backseat to the enjoyment of seeing familiar faces (especially since these forts and temples were not as nice as other temples and forts we had already seen. I’d already forgotten my earlier reminder that we shouldn’t stop appreciating the seemingly less-impressive-by-comparison sites). One other thing that did strike me about Pune was the presence of Marathi, Maharastra’s main language. I know a lot of people speak Marathi in Bombay (in fact, many native Bombayiites try to argue that everyone here should place more emphasis on Marathi), but Hindi and English rule outside of residential areas. But in Pune, Marathi is king. Of our two friends (both American second-generation Indians), one spoke Marathi and the other Hindi. And our Hindi-speaking friend (and Hindi-speaking driver from Bombay!) had quite the difficult time. I had heard so much about India’s multi-lingual idiosyncracies, but since in Bombay I am always the foreign one, it amazed me that even a few hours away, Hindi speakers also were lost. On our last day in Pune we ventured up to a temple on the top of a hill that overlooked all of Pune. It was beautiful to see the whole city laid out in front of is. It was large and sprawling and just another reminder of how small we are in this country with so many people, cities, languages and cultures. And so we drove back to Bombay, but with a newfound determination to see the rest of India – not just the small India that I know.